Wage growth across all states and territories has remained low, according to data released by the Australian Bureau of Statistics this week. Victoria was the highest performer, delivering 2.4 per cent growth, compared to 1.9 per cent in the same quarter last year. 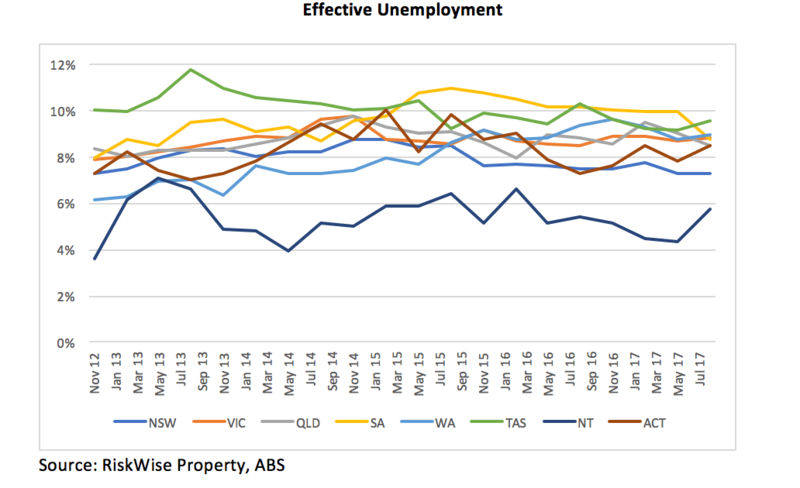 All other states showed no significant change, except Western Australia which delivered steady improvement following very low growth over the past year. These numbers are unsurprising given the present high levels of effective unemployment across Australia. While the underemployed are working, the increasing number of those seeking additional hours is contributing to poor wage growth – despite declining unemployment. This sentiment has been shared by the Governor of the Reserve Bank, Philip Lowe, who issued that workers should demand larger pay increases from their employers. However, due to high underemployment, employees were tending to ask for increased hours rather than higher remuneration – detrimentally impacting wage growth. The illustrations below illustrate this correlation. 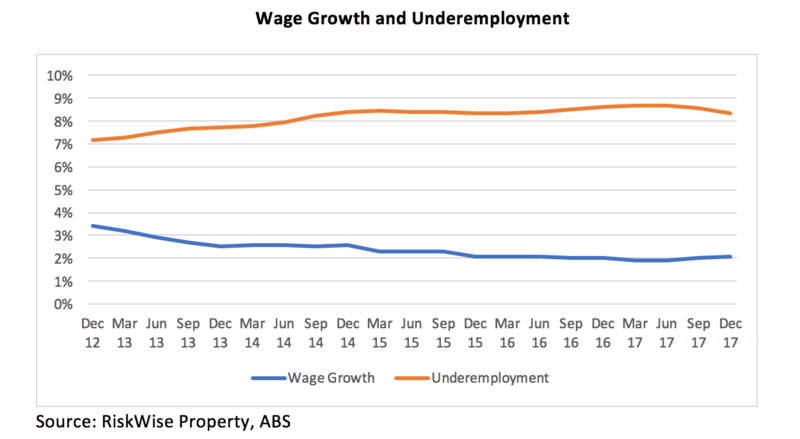 High effective unemployment continues being a major driver to the poor wage growth. While overall there is slow improvement in the employment measures, this is a long process. Therefore, it is unlikely that the Australian market will experience strong wage growth in the near future and, consequently, the inflation rate is projected to remain low, with no changes to RBA’s cash rate in the foreseeable future. Who are Australia’s top ten property specialists?